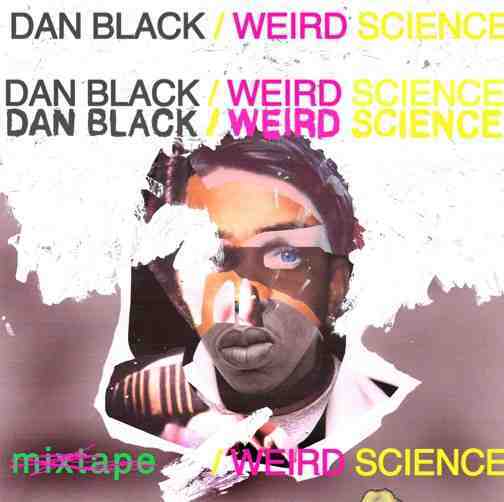 Weird Science is a six song mixtape from Dan Black. Uncommon for a pop artist to put out a mixtape, but Dan Black isn’t your typical pop artist. On this tape he borrows some sounds from popular hits that you’ve been hearing for years, but first he melts them down and reshapes their skeletons, transforming them into instant Dan Black songs. Dan’s sound is so unique – I’d love to dig through his record collection and see what he listens to. Check out the IFC premiere of his video with Kid Cudi here. Symphonies didn't have me convinced, but this Gorecki, Fix Up My Girlfriend Some More track definitely does. Thanks for the post. I loved Dan Black ever since your first post on him. Thanks for this. You can also check Dan Black Symphonies feat. Kid Cudi video premiere on IFC http://tinyurl.com/y8uexkwSounds good! !